With Zwitch, we make it easy for you to migrate to an all-new CRM experience—one equipped with multi-channel customer engagement, a conversational AI, and an array of sales and marketing automation tools to help you close more deals in less time. And it won't just be time you're saving, switching to Zoho CRM will save you over 70% in licensing costs. Compare Zoho CRM and The Others. Here's what our customers say about their migration. When we decided to change, the Zoho team took our Sugar data export and within hours had it populated into Zoho. We were up and running literally within a day. Customization is much easier than Sugar. Our team finds Zoho easy to use and a cleaner interface." We save over 70% per year since switching. When I tell people that we changed CRMs, they're shocked. They think that Salesforce is the only platform on the market that can accommodate the complexity of our business. And that's just not true." The most trusted CRM software. 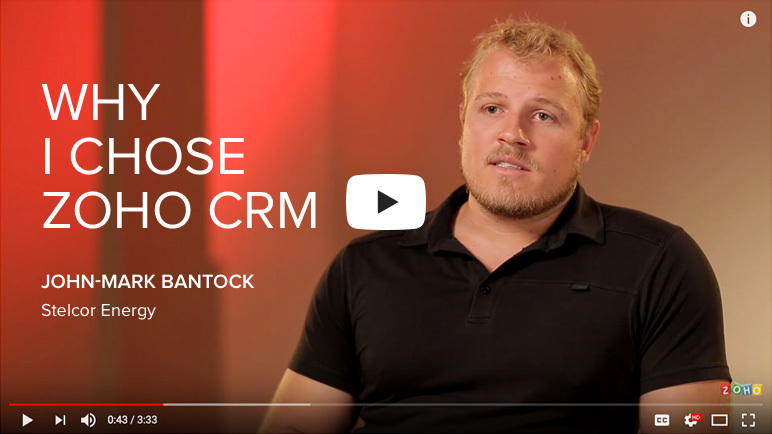 Start getting more from your CRM.